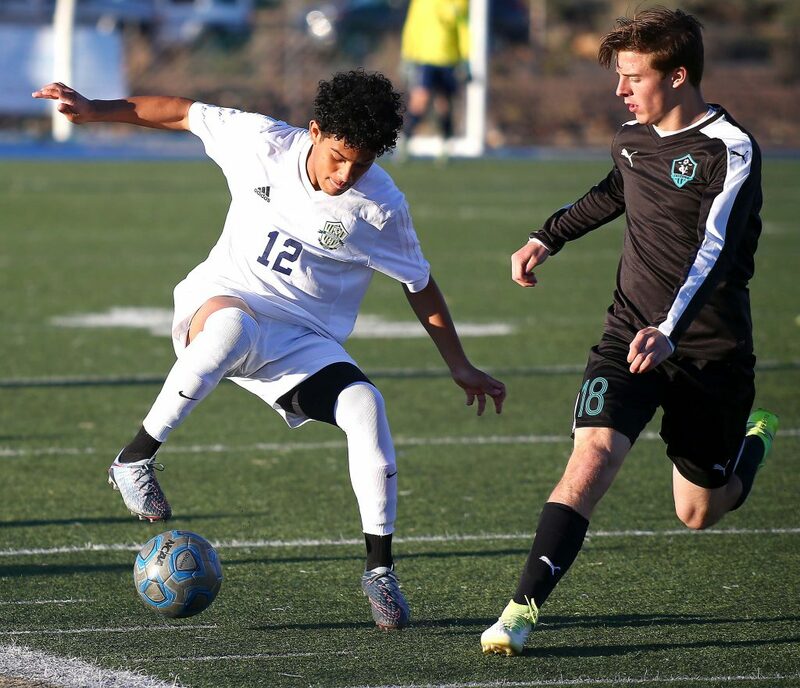 ST. GEORGE – With Dixie on a bye, Snow Canyon had a chance to grab first place in Region 9 with a win Tuesday night against Canyon View. 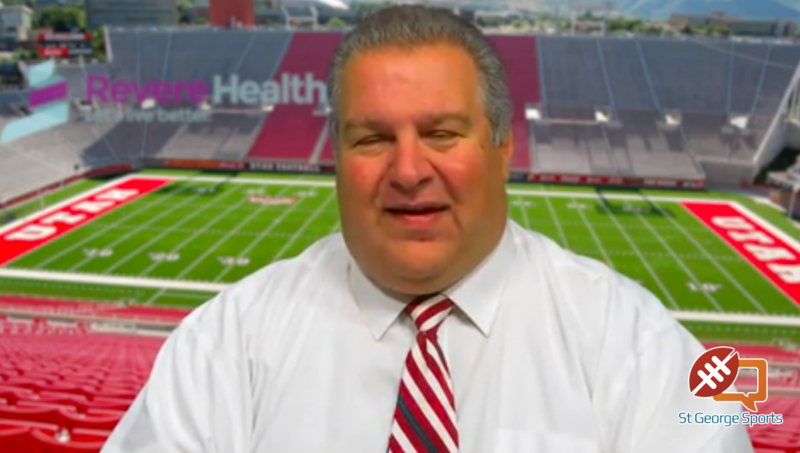 The Warriors did just that – but it wasn’t easy – by edging the Falcons at Warrior Stadium. 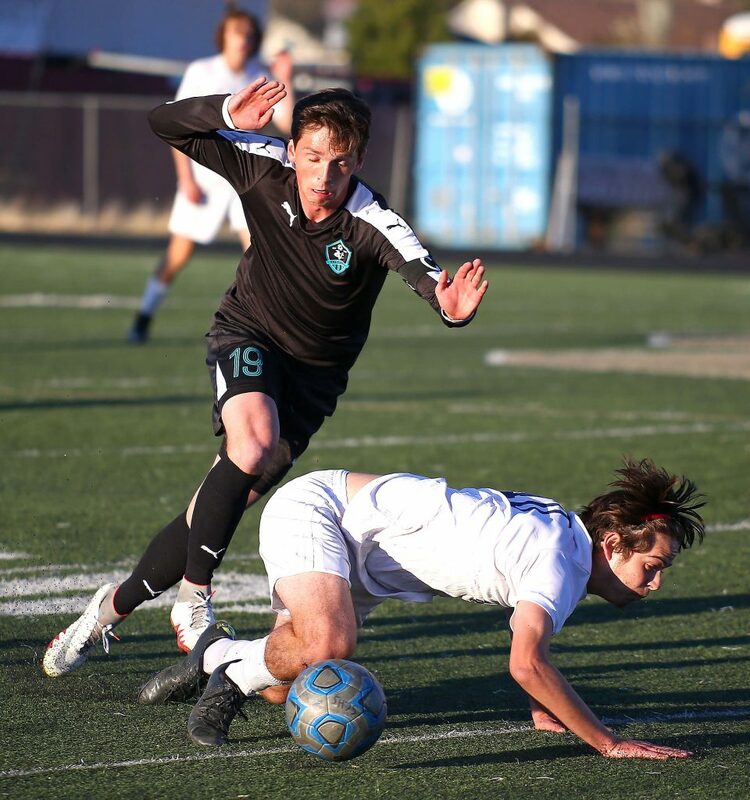 Desert Hills also got a win, creeping within two points of Canyon View. 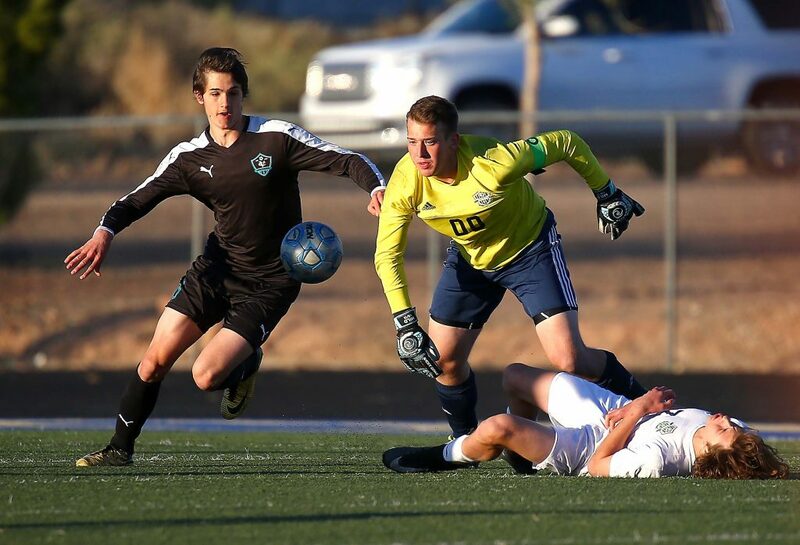 And Pine View captured its first region victory by edging Hurricane. 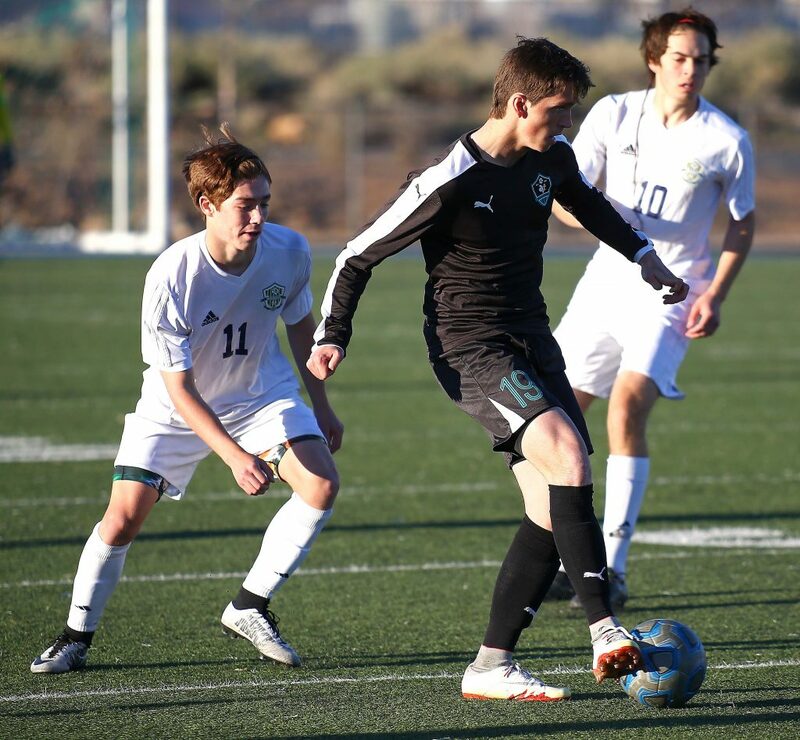 This match was originally scheduled to be played in the afternoon in Cedar City, but muddy field concerns had the two teams swap their home dates (SC will visit CV in April). So the Warriors faced a must-win situation at home. 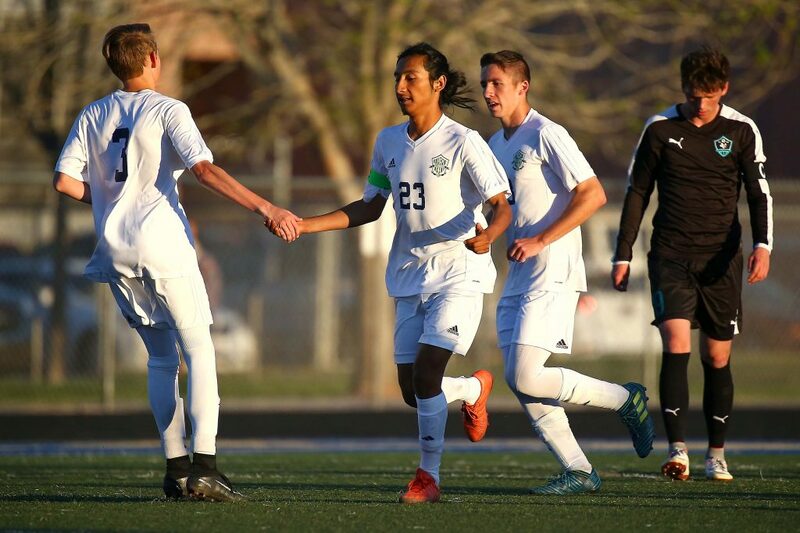 Snow Canyon never trailed, although things got hairy in the second half when the Falcons scored and had a few late opportunities to get the equalizer. 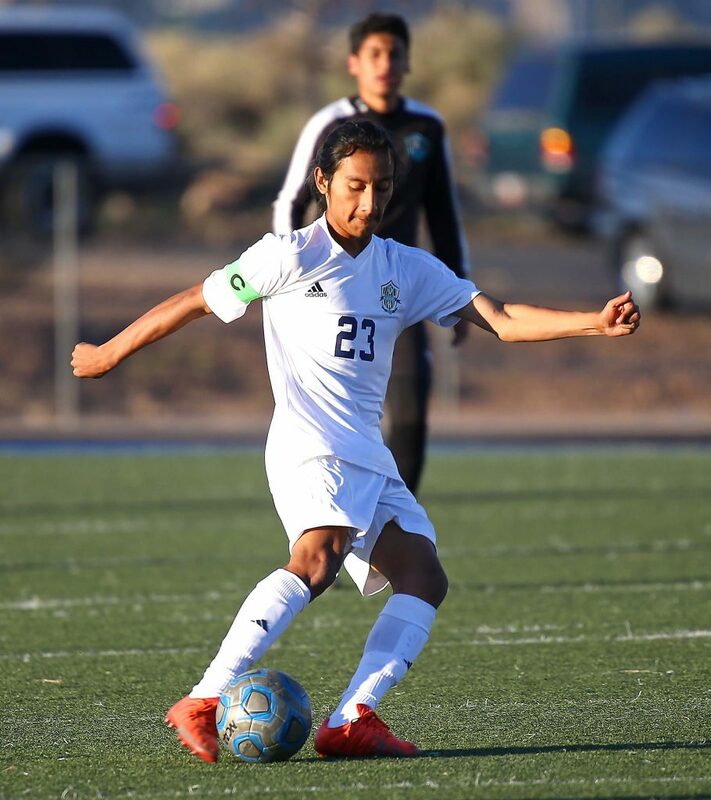 In the end, though, goals by Yetzel Carrillo (on a penalty kick) and Luis Gamez (on an assist by Richard Vichi) in the first half held up behind the Snow Canyon defense and goalkeeper Austin Mild. The victory momentarily puts the Warriors in first place with four wins and a tie for 13 points. Dixie has 12 points and was idle Tuesday. Snow Canyon byes Friday while the Flyers play at Pine View. 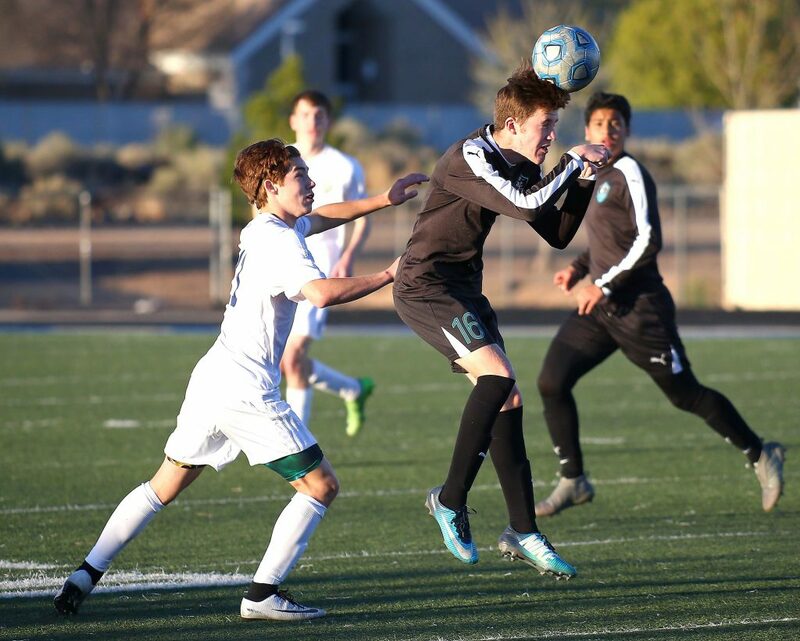 Canyon View, which got its only goal from Kellan Bowden, still holds third place with nine points and a 3-2-0 region record. 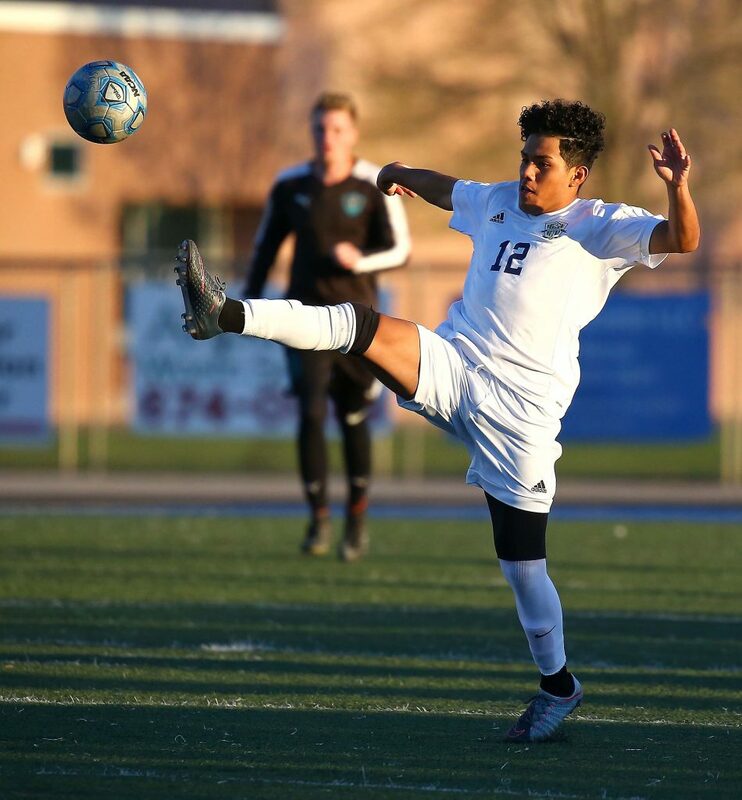 The Falcons host Desert Hills Friday at 4 p.m.
After going 0-1-1 in their last two matches, the Thunder got back on the winning track with the blowout win at home against the Redmen. 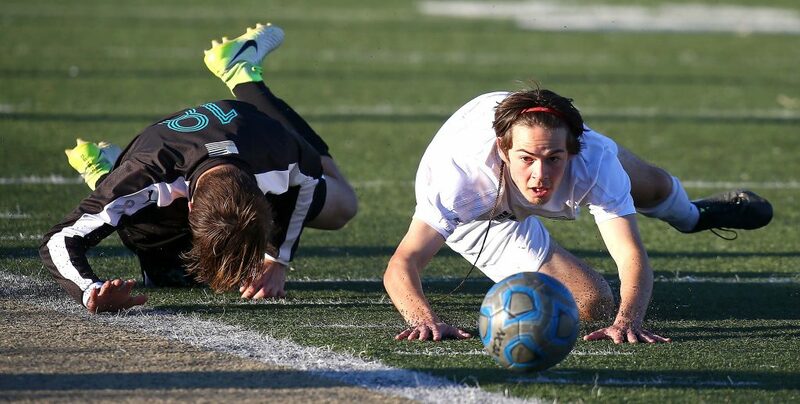 The goals came fast and furious for Desert Hills. 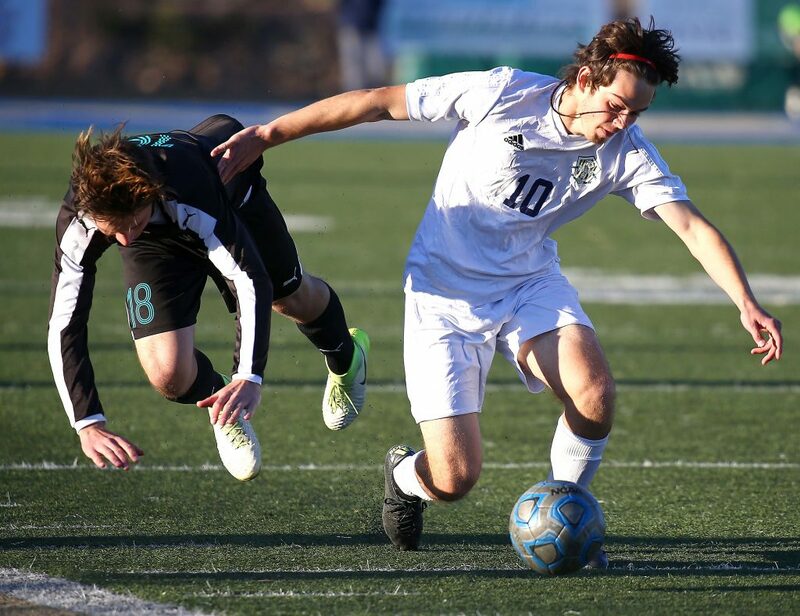 Sawyer Heaton had two of them and teammates Ben Simister, Garrett Lewis, Kelton Holt, Walker Heaton and Will Schroder each scored once. Simister leads the team with six goals on the season and Holt and Walker Heaton have four each. 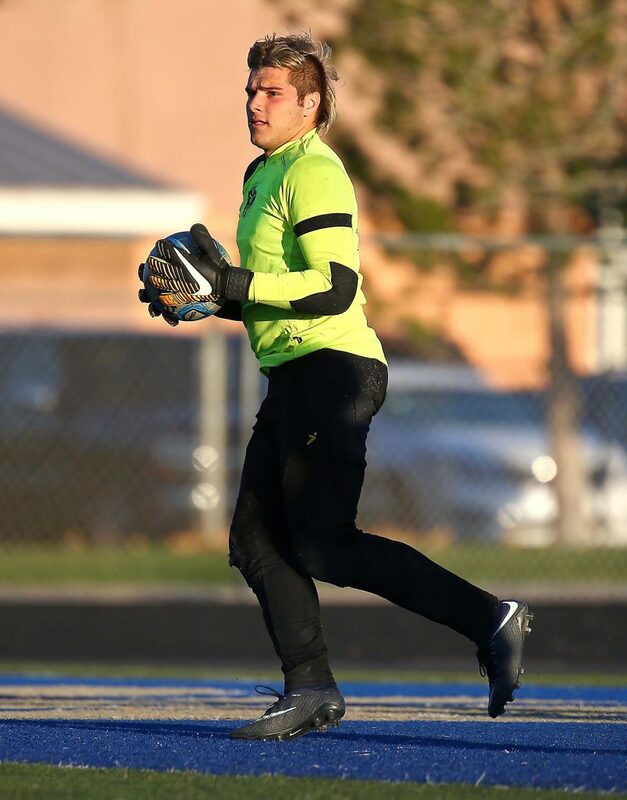 Thunder keeper Preston Hodges got his fourth shutout of the year. 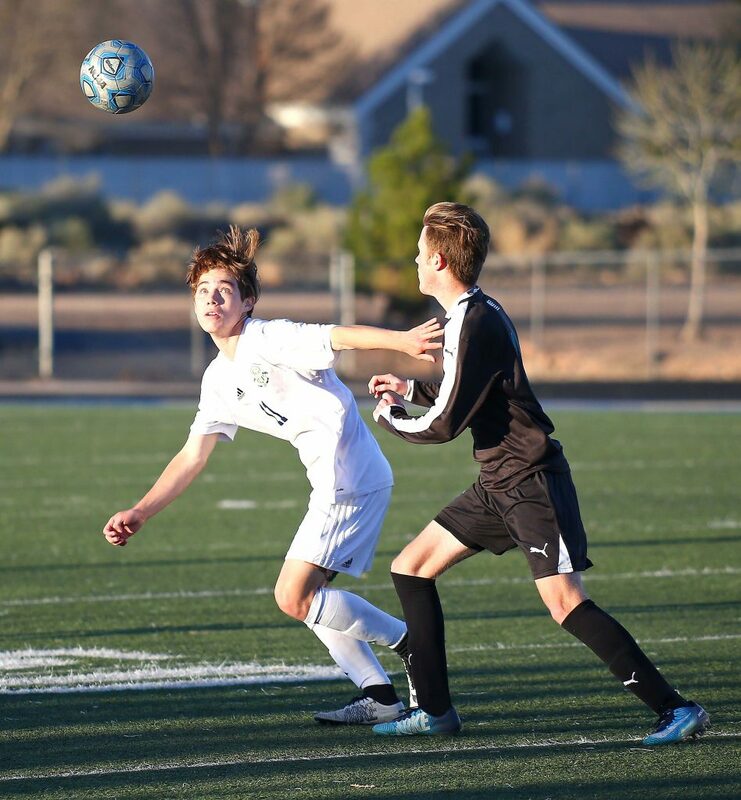 D-Hills, 4-2-1 overall and 2-1-1 in region, is at Canyon View Friday at 4 p.m. Cedar, 1-5-0 and 0-4-0, is at Hurricane. The Panthers led 2-0 at intermission and then held on for a 3-2 victory at home against the Tigers. 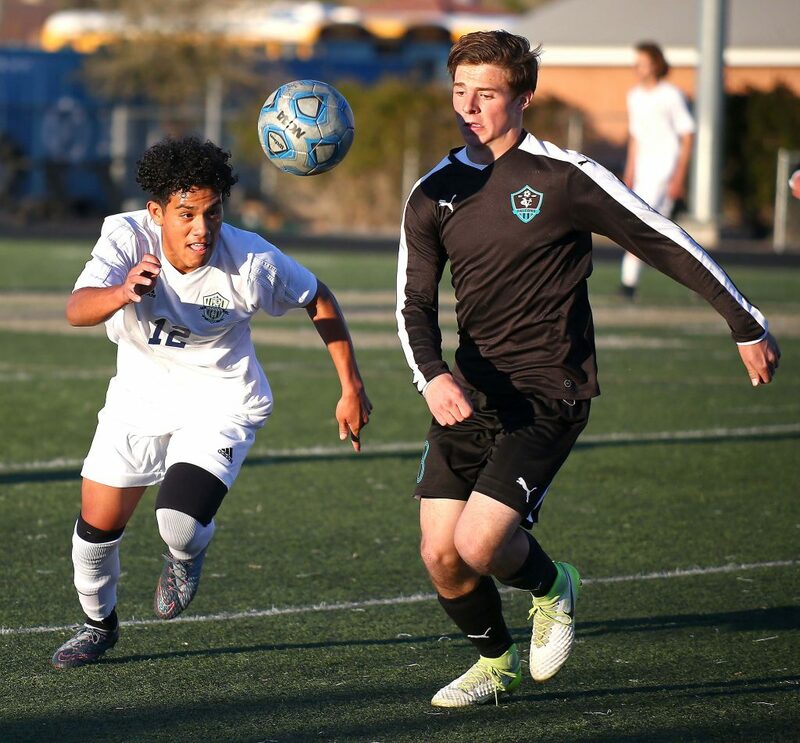 Pine View, which got its second win of the season, got two goals from Alex Rodriguez, and a third from Kelvin Armenta in the win. 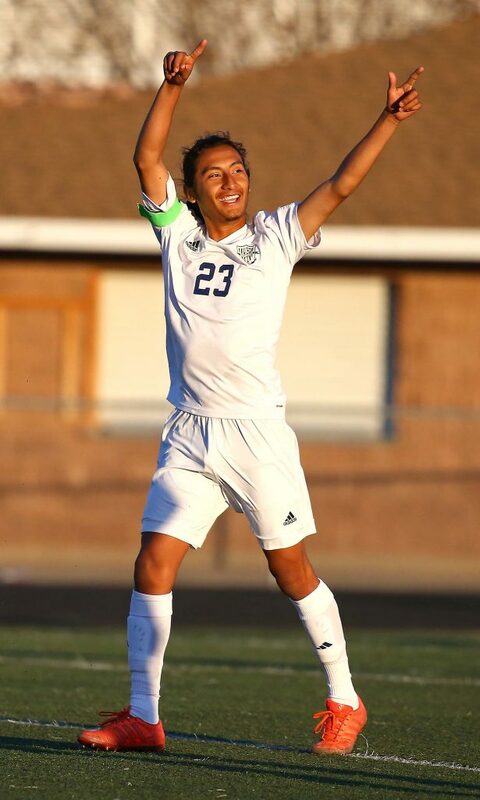 They were the second and third goals of the season for Rodriguez. 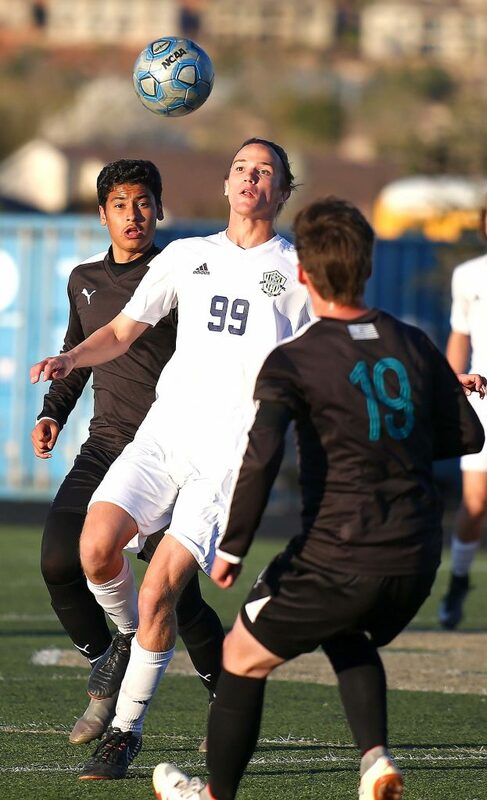 Pine View hosts Dixie Friday night, while Hurricane will continue to seek its first win with a match at home against Cedar. 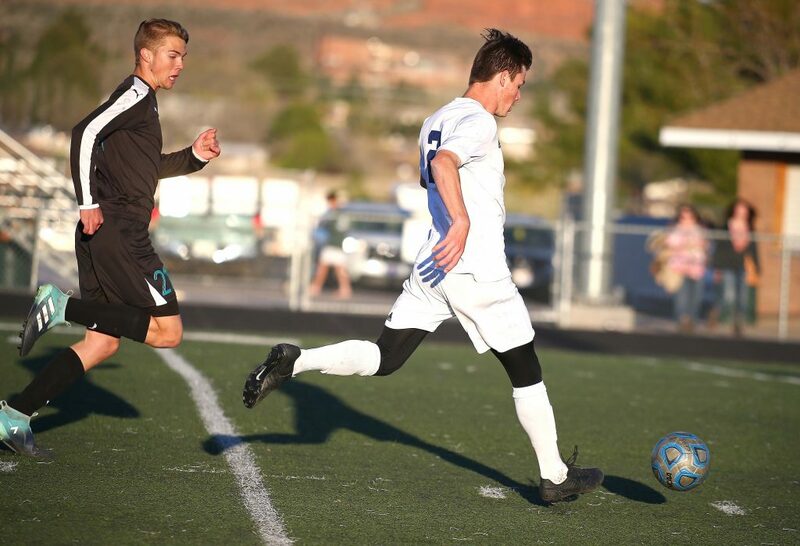 Both contests start at 7 p.m.
Dixie at Pine View, 7 p.m.